Length of Track: 4,678 feet of 24 guage track, held down by 11,763 spikes to 2,871 ties. Train Trestle: The trains crossed over a 462 foot long trestle over lake Como. 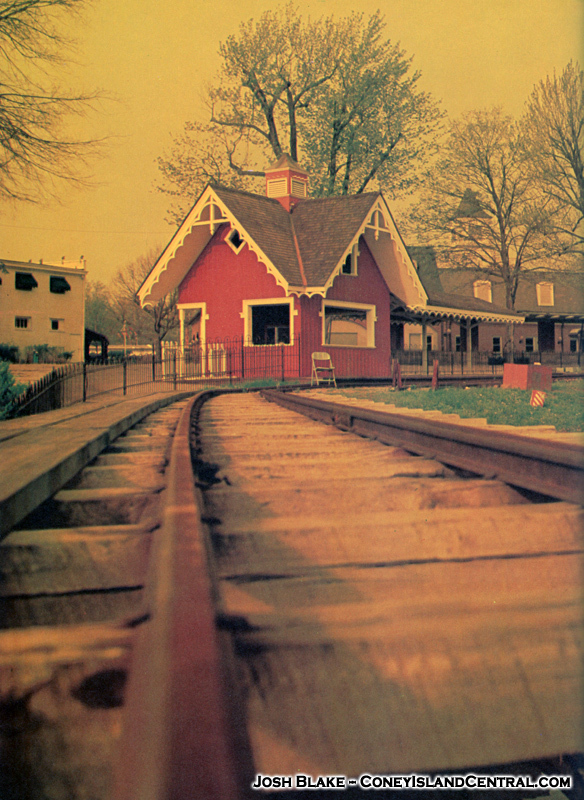 Miscellaneous: The train station building was designed by architect Darrel Daniels, a UC alumnae. 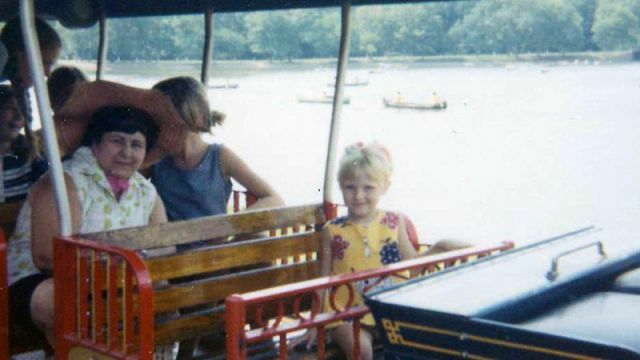 The ride carried 478,000 passengers its first season. The ride featured a fort and mechanical Indians for theming. 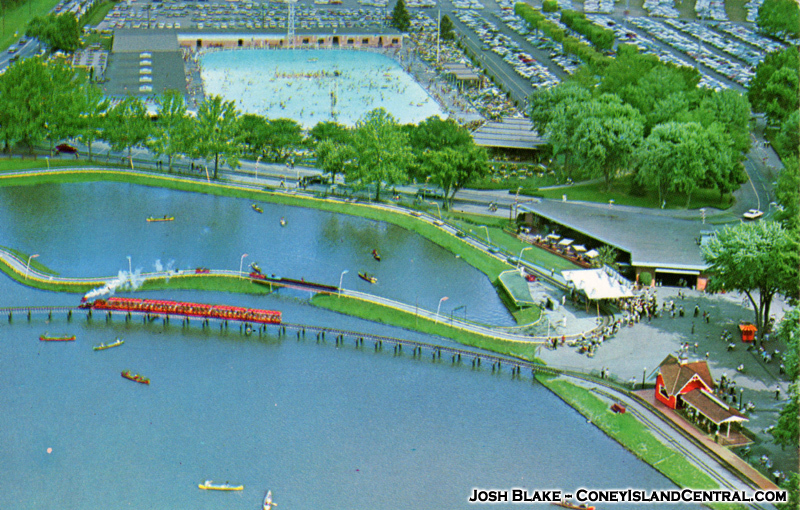 In fact, the park spent $10,000 on special effects for the ride. The special effects were designed by Winfield Hubbard, who was MGM`s chief special designer for thirty years. The Chance locomotives were numbered in the order in which they were built. 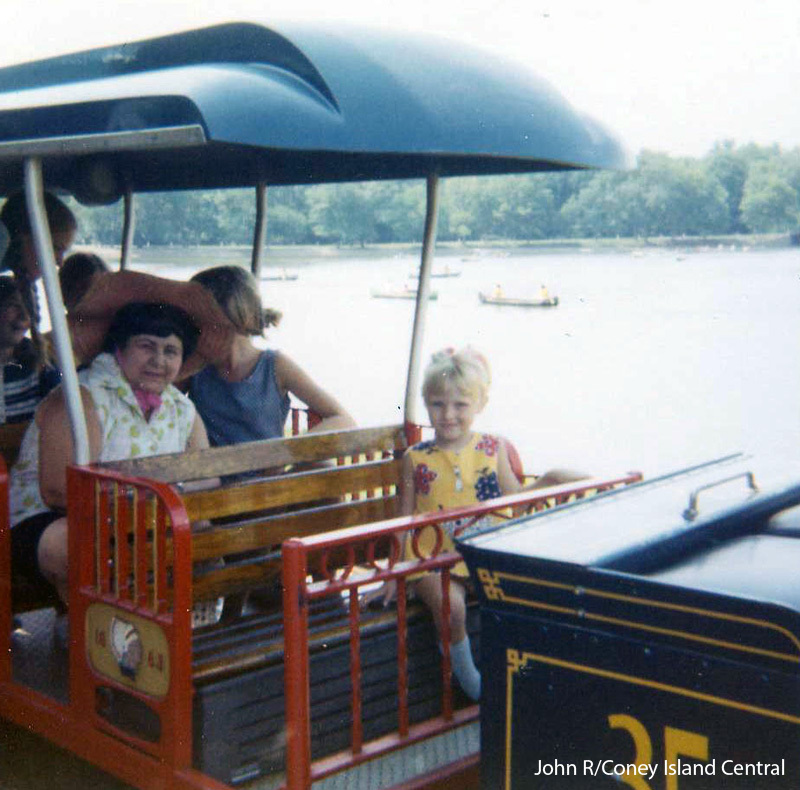 #240 is operating at the Cincinnati Zoo, and #90 operates at Stricker`s Grove. 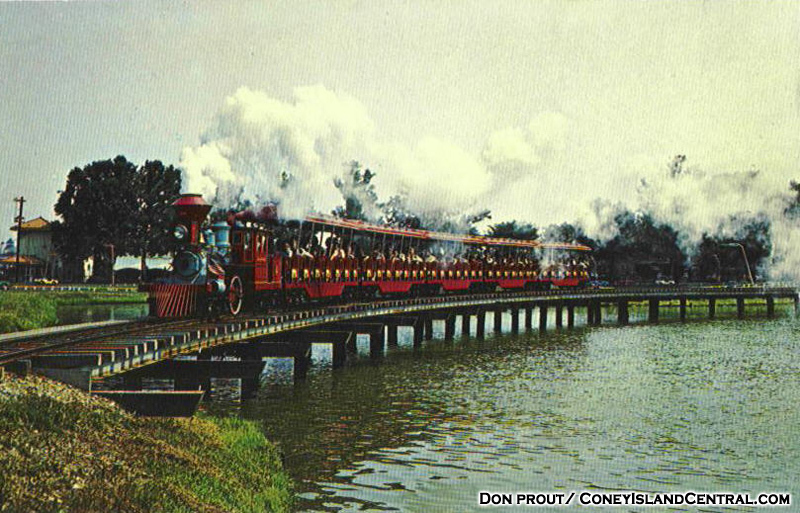 Departure from Coney: After Kings Island was built, the trains were not needed at KI since the park had the much larger Crown Metal Products engines. #34 was moved to World of Golf in Florence, right by I-75. It opened there in 1975 or 1976. It operated there for a few years, then remained in storage until the early 1990s when it was sold to the Oil Ranch in Hockley, Texas. It still operates there today, having since been repainted, and no longer sporting its #34. Locomotive #35, eventually found its way to Guntown Mountain Railroad near Mammoth Cave (Cave City), Kentucky. 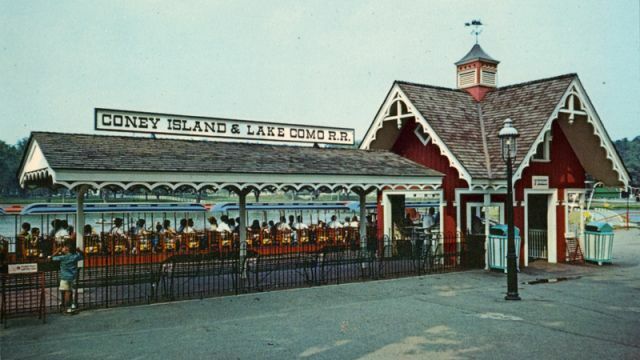 It operated there until October 2005, when all of the rides were sold. 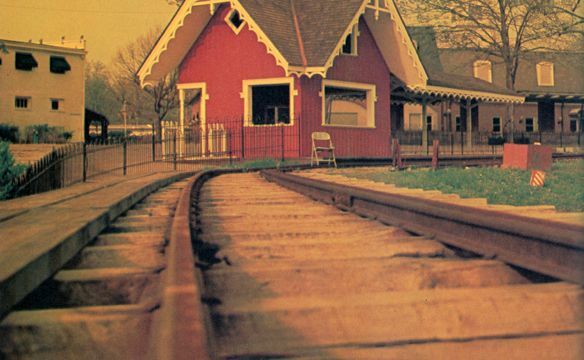 As of December 2011, the locomotive, cars and 2.5 miles of track were in storage at Beech Bend Park, in Bowling Green, KY, apparently for sale. 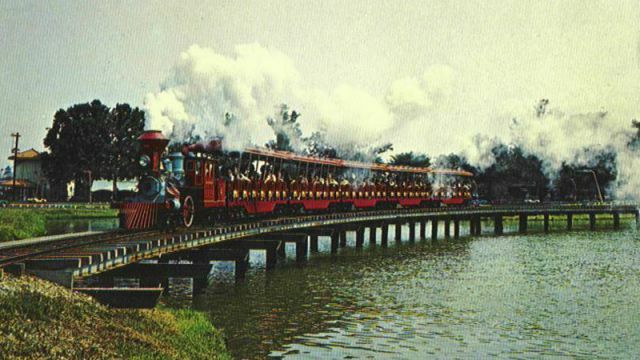 For a more detailed history on these trains, check out this fantastic article from the Cinder Sniffers, a model live steam club located in Greater Cincinnati. 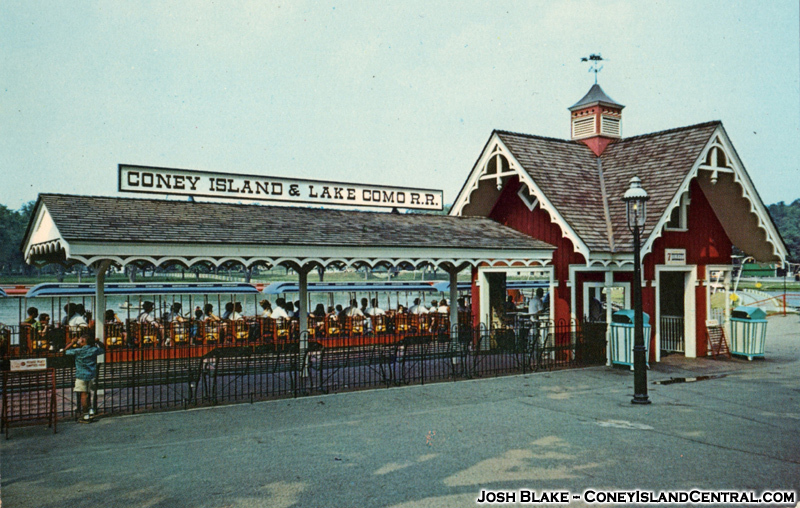 Coney Island has been open since 1886. 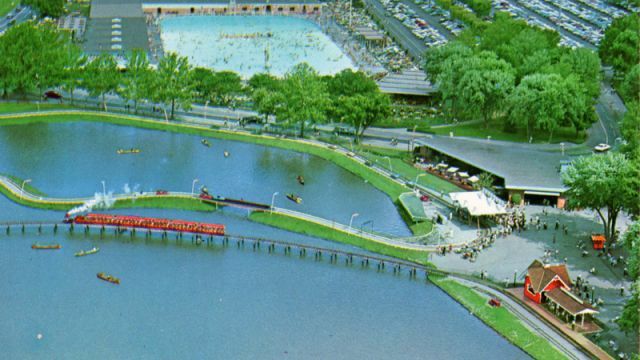 Explore the rich history of this amusement park by the Ohio River that started out as a picnic grove run by James Parker.